#1. The cutest laundry room ever. 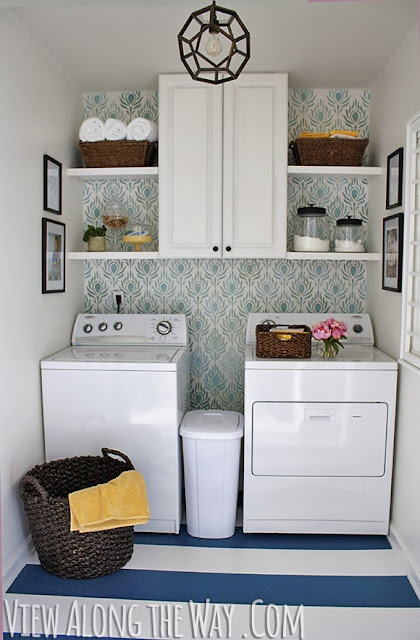 Kelly's laundry room is so cute that it's famous. Seriously. 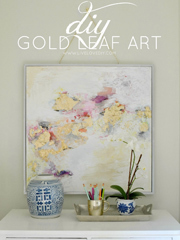 This badboy has been all over Pinterest and was even featured in last month's Better Homes & Gardens magazine. Just in case you somehow missed it, you absolutely have to go check out the details of this room. Kelly created the entire laundry room for a total of $157. Yes, you read that right. It's awesome, I know. 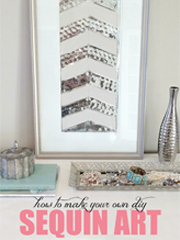 Not only did she stencil a wall, and MAKE her own light fixture, but she painted stripes on her old linoleum flooring. #2. The nursery with the curtains. THE CURTAINS. #3. The bathroom with the sassy vanity. 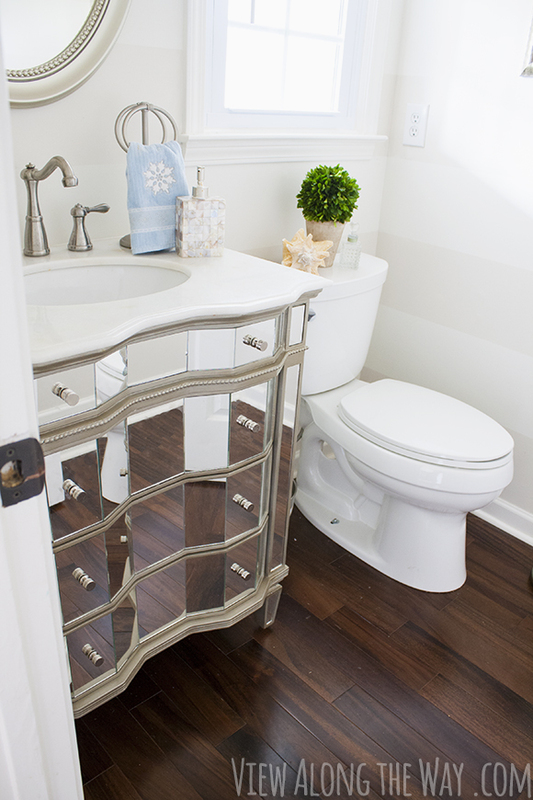 Kelly completely transformed her little powder room, and gave it some major wow factor with a chic mirrored vanity she found on sale! I love this bathroom so much, mostly because of how awesome the transformation was. Oh, and also because she painted stripes. Kelly and I clearly share a love for stripes. See the full before & after here. #4. She's a gal who makes her bed. Literally. 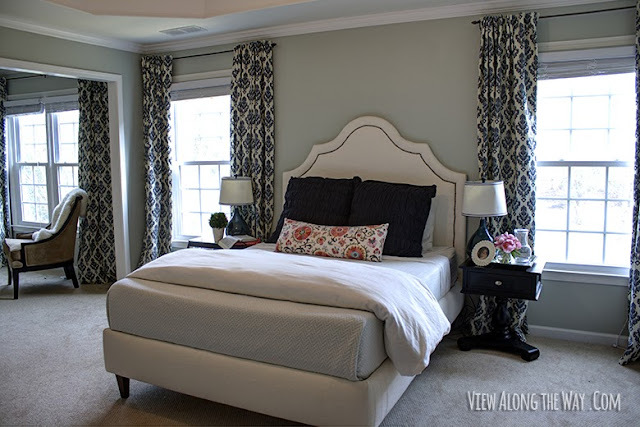 Kelly and her husband Andy made this entire upholstered bed from scratch. Need I say more? See how they did it here. #5. She can figure out a way to DIY anything. I love duvet covers. I use them in our master bedroom and in our guest bedroom. They're so convenient and easy to clean. 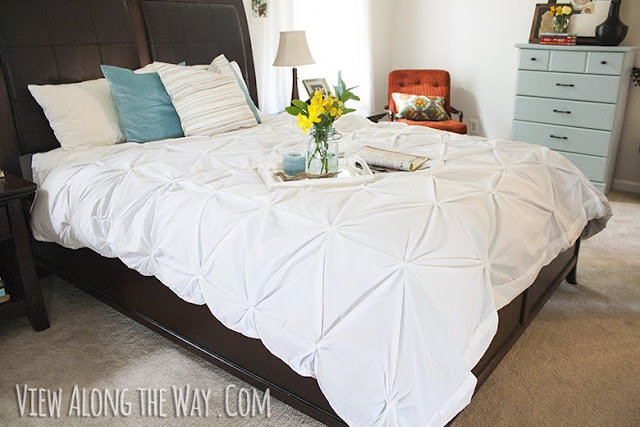 I absolutely adore Kelly's idea to make your own out of two bedsheets. See how she did it here. You won't believe how easy it is. #6. She's a problem solver. Kelly's lamp idea is so brilliant that I'm pretty sure I pinned it twice before I met her. 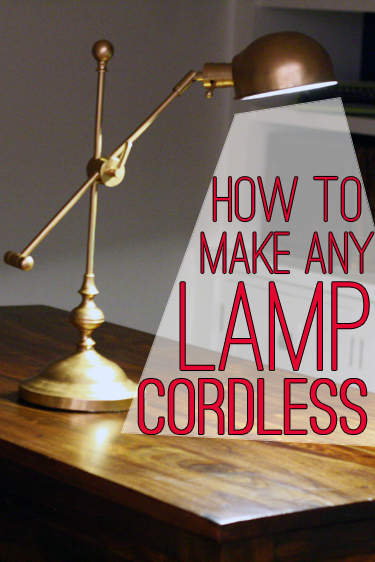 See how Kelly made her lamp cordless here. It's a goodie. 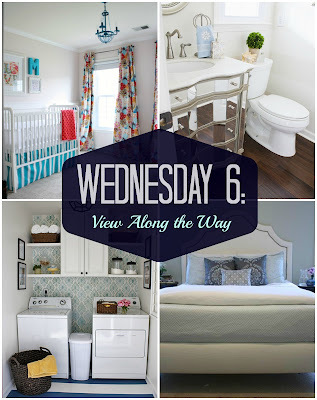 And that's this week's Wednesday 6! Thanks so much for stopping by! 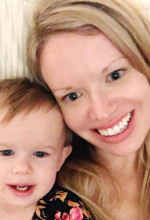 I hope you'll go say hi to Kelly and check out the rest of her home. 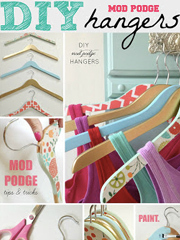 It's gorgeous and filled with thrifty ideas that I know you'll love! 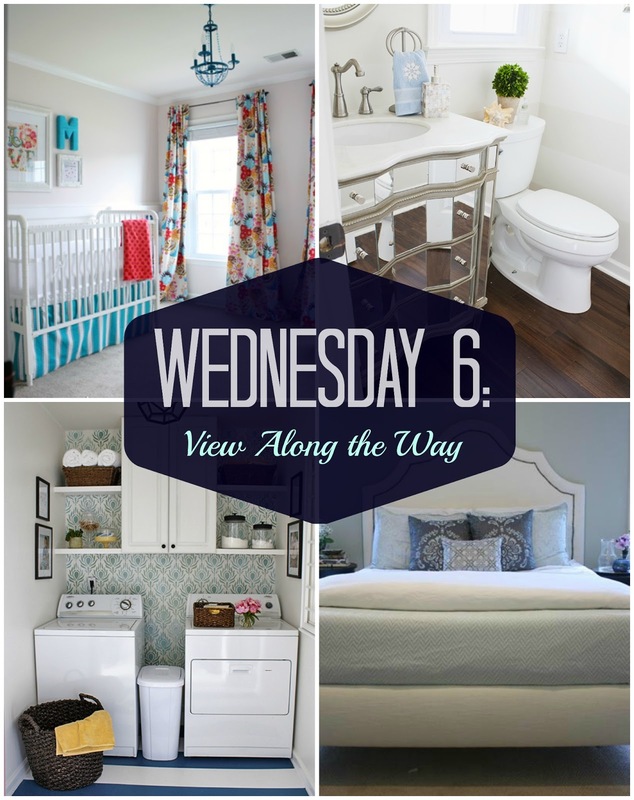 And if you missed the last Wednesday 6, you can catch up here. I only wish I could do things around my house, so it would look like these pictures. Beautiful! 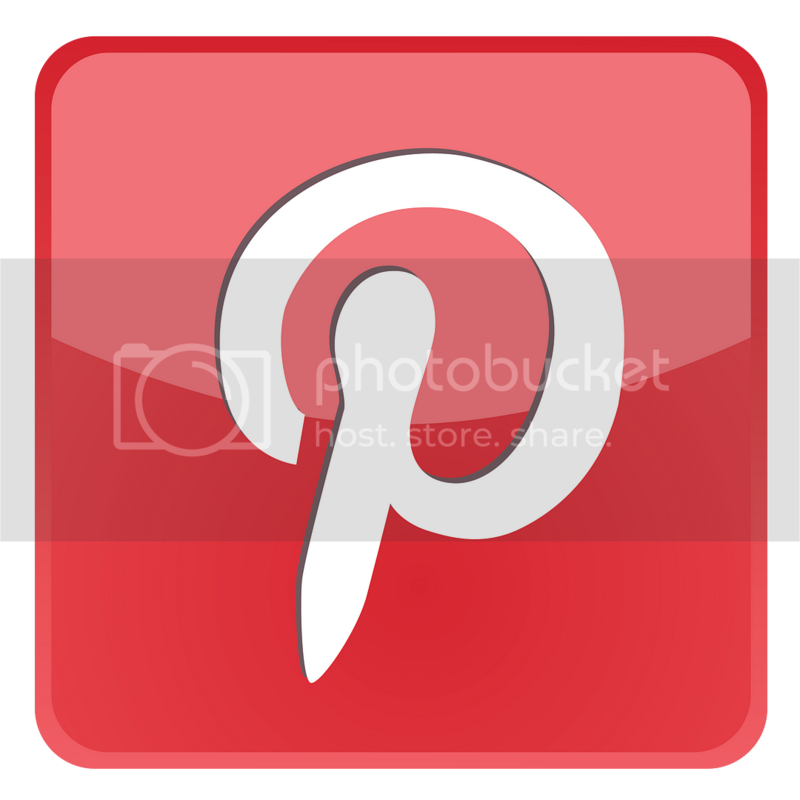 What a happy day and a big ol' honor to be on your blog, my sweet friend! My blog is feelin' a little starstruck by this opportunity. It would thank you, but all it can do is stutter and hold out a notebook and a pen for your autograph. It's all: "Th-th-thank you. OMG. I'm your biggest fan!" Kelly, where do you get all your fab fabrics from?! 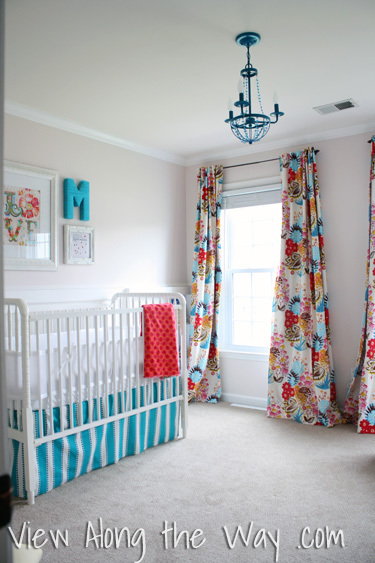 LOVE the drapes in the nursery and bedroom!! WOW Kelly seems like a woman who knows how to get things DONE! Not only get them done, but get them done in a sassy and self-sufficient way. Good for you girl!! She is indeed! Thanks Bailey!! 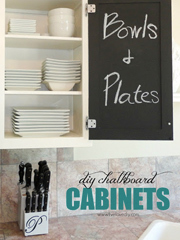 I love her DIYs! 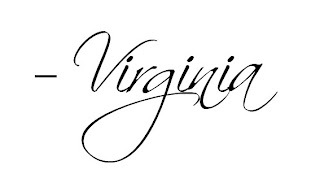 Thanks for sharing her with us Virginia : ) Already left her a note too! These projects are all genius! 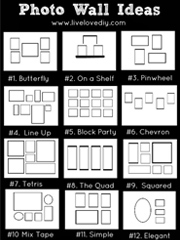 I think I already had them all Pinned, expect the lamp one, which I just added. Thanks for sharing. I love the lamp idea, too! So smart!